NASA astronaut Anne McClain during a spacewalk on March 22, 2019. Cries of discrimination and jokes about gender dominated social media Tuesday (March 26) after NASA announced it would cancel the first all-female spacewalk planned for this week. The reason, actually, was a simple matter of safety. Originally, rookie astronauts Anne McClain and Christina Koch were supposed to head “outside” the International Space Station to install lithium-ion batteries for one of the station’s solar array pairs. It’s the sort of work that’s crucial to the station operations, because without power, astronauts cannot run experiments — nor do basic functions such as eating or even breathing. However, McClain took her first spacewalk on March 22 (along with fellow rookie astronaut Nick Hague) and discovered that the large suit torso size she used didn’t fit her in space. Astronaut bodies stretch in space due to a lack of gravity, and working in microgravity is different than working even in a pool, so last-minute adjustments sometimes are needed to suit size. As responsible astronauts do, McClain disclosed her suit size issue to the ground, and NASA made an operational decision to split the female spacewalking assignments into two extra-vehicular activities instead of one since only one medium-size torso is available for use — a size that both McClain and Koch would need to use simultaneously. “McClain learned during her first spacewalk that a medium-size hard upper torso – essentially the shirt of the spacesuit – fits her best. Because only one medium-size torso can be made ready by Friday, March 29, Koch will wear it,” NASA said in a statement. NASA astronaut Anne McClain used a large torso spacesuit size during her first spacewalk March 22, 2019, but determined it was too big for her. Why can’t they just reconfigure the spacesuit? NASA’s existing spacesuit inventory has come under scrutiny before. In 2017, NASA’s Office of Inspector General (OIG) found that new spacesuits won’t be delivered for several years, even though the agency spent nearly $200 million in development in the decade before then. One reason was this spending was spread over several spacesuit types, since there was a “lack of a formal plan and specific destinations for future development,” the OIG stated. The 40-year-old spacesuits — more officially called extravehicular mobility units (EMUs) — can be configured to swap out arms and legs and other components to better fit spacewalkers, but such configurations take time. A few years ago, an Italian spacewalker experienced severe flooding in his helmet due to a suit leak, cutting short a spacewalk and potentially putting his life at risk. NASA investigated the issue and implemented remedies. It demonstrates that spacesuits are delicate instruments and can only be configured with great care. The spacesuits need to be shipped to the ground periodically for repairs and maintenance. They aren’t designed for full refurbishment in space, although perhaps future generations of spacesuits could be. So changing their configuration cannot be done lightly, especially on the ISS. Each change carries a safety risk and must be carefully performed and documented. Schierholz added in another tweet, “The original thought was Anne would use a large for the second spacewalk,” with Koch using the medium. What this means is that the two astronauts will not be walking in space together at the same time, but they’ll still get individual chances in the coming days. Koch and Hague will do their spacewalk on March 29, with McClain and Canadian astronaut David Saint-Jacques scheduled to go “outside” on April 8. The spacesuits NASA uses on the International Space Station are more than 40 years old and require periodic maintenance back on Earth. Why can’t astronauts take the time to reconfigure the spacesuits? A secondary issue to reconfiguring the spacesuit is sheer crew time. The ISS is an expensive science laboratory that only about a dozen people a year get to use in person (with others accessing the facilities remotely, from the Earth). For the astronauts, science time is the ideal use of their time on station — but they also need to build in time for sleeping, eating, cooking, exercising (2 hours a day to exercise and set up equipment, actually) and other urgent maintenance, such as cleaning filters or fixing the toilets. NASA is cognizant of the importance of the all-female milestone, Schierholz added in an interview with the New York Times, but said that ultimately the mission has to come first. She added there are no immediate plans to schedule a replacement all-female spacewalk. While that may sound disappointing, again that decision is for operational reasons. Spacewalks are one of the most dangerous things an astronaut can do (along with the activities of liftoff and landing). While the views are spectacular and the astronauts often say it is a highlight of their work, NASA minimizes spacewalks where possible to keep its crews safe. 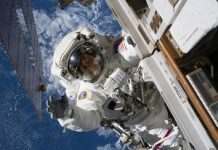 It tends to schedule spacewalks in bunches and to use them for crucial activities; right now, the agency is trying to fit in some “outside” work before several cargo ships come up to the space station, which will take more crew time in terms of helping them berth and getting them unloaded. Nor can astronauts easily switch to the Orlan suits that the Russians use, because of a few considerations — those suits may not be ready, and the exit point for Russian spacewalks is usually from a different hatch than the NASA spacewalks, which messes up the carefully planned choreography. NASA very carefully schedules its spacewalks, with astronauts being given detailed procedures about where to go, how to tether themselves to the station, what tools to use and in many cases, what positions to assume to get the work done. So last-minute changes aren’t a great option. Postponing the first all-female spacewalk wasn’t a gender issue, but a smart decision based on operations. And remember: that female milestone is bound to happen eventually. After all, about half of the 2013 and 2017 astronaut classes (NASA’s two newest groups to join the agency) were made up of women. Female participation in space isn’t yet par to men, but it is growing; you can read some of the more notable milestones in history on this NASA webpage. < div _ ngcontent-c14 ="" innerhtml ="
Cries of discrimination and jokes about gender controlled social networks Tuesday (March 26) after NASA revealed it would cancel the very first all-female spacewalk prepared for today. The factor, in fact, was an easy matter of security. Initially, novice astronauts Anne McClain and Christina Koch were expected to head “outdoors” the International Spaceport station to set up lithium-ion batteries for among the station’s solar range sets. It’s the sort of work that’s essential to the station operations, because without power, astronauts can not run experiments– nor do standard functions such as consuming or perhaps breathing. Nevertheless, McClain took her very first spacewalk on March 22 (in addition to fellow novice astronaut Nick Hague) and found that the big fit upper body size she utilized didn’t fit her in area. Astronaut bodies stretch in area due to an absence of gravity, and operating in microgravity is various than working even in a swimming pool, so last-minute changes often are required to fit size. (************** ) As accountable astronauts do, McClain divulged her fit size concern to the ground, and NASA made a functional choice to divide the female spacewalking tasks into 2 extra-vehicular activities rather of one considering that just one medium-size upper body is offered for usage– a size that both McClain and Koch would require to utilize all at once. ” McClain discovered throughout her very first spacewalk that a medium-size difficult upper torso– basically the t-shirt of the spacesuit– fits her finest. Since just one medium-size upper body can be made prepared by Friday, March 29, Koch will use it,” NASA stated in a declaration. NASA astronaut Anne McClain utilized a big upper body spacesuit size throughout her very first spacewalk March22,2019, however identified it was too huge for her. Why can’t they simply reconfigure the spacesuit? NASA’s existing spacesuit stock has actually come under analysis prior to. In 2017, NASA’s Workplace of Inspector General (OIG) discovered that brand-new spacesuits will not be provided for a number of years, despite the fact that the company invested almost $200 million in advancement in the years prior to then. One factor was this costs was topped a number of spacesuit types, considering that there was a “absence of an official strategy and particular locations for future advancement,” the OIG specified. The 40- year-old spacesuits– more formally called extravehicular movement systems (EMUs)– can be set up to switch out limbs and other parts to much better fit spacewalkers, however such setups take some time. A couple of years earlier, an Italian spacewalker experienced extreme flooding in his helmet due to a match leakage, interrupting a spacewalk and possibly putting his life at threat. NASA examined the concern and executed treatments It shows that spacesuits are fragile instruments and can just be set up with excellent care. The spacesuits require to be delivered to the ground regularly for repair work and upkeep. They aren’t developed for complete repair in area, although maybe future generations of spacesuits might be. So altering their setup can not be done gently, particularly on the ISS. Each modification brings a security threat and should be thoroughly carried out and recorded. Schierholz included another tweet, “The initial idea was Anne would utilize a big for the 2nd spacewalk,” with Koch utilizing the medium. What this implies is that the 2 astronauts will not be strolling in area together at the exact same time, however they’ll still get private possibilities in the coming days. 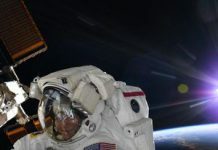 Koch and Hague will do their spacewalk on March 29, with McClain and Canadian astronaut David Saint-Jacques arranged to go “outdoors” on April 8. The spacesuits NASA utilizes on the International Spaceport Station are more than 40 years of ages and need regular upkeep back in the world. Why can’t astronauts make the effort to reconfigure the spacesuits? A secondary concern to reconfiguring the spacesuit is large team time. The ISS is a pricey science lab that just about a lots individuals a year get to utilize personally (with others accessing the centers from another location, from the Earth). For the astronauts, science time is the perfect usage of their time on station– however they likewise require to integrate in time for sleeping, consuming, cooking, working out (2 hours a day to work out and establish devices, in fact) and other immediate upkeep, such as cleaning up filters or repairing the toilets. NASA is cognizant of the value of the all-female turning point, Schierholz included an interview with the New york city Times, however stated that eventually the objective needs to precede. She included there are no instant strategies to set up a replacement all-female spacewalk. While that might sound frustrating, once again that choice is for functional factors. Spacewalks are among the most hazardous things an astronaut can do (in addition to the activities of liftoff and landing). While the views are amazing and the astronauts frequently state it is an emphasize of their work, NASA lessens spacewalks where possible to keep its teams safe. It tends to set up spacewalks in lots and to utilize them for essential activities; today, the company is attempting to suit some “outdoors” work prior to a number of freight ships come near the spaceport station, which will take more team time in regards to assisting them berth and getting them unloaded. Nor can astronauts quickly change to the Orlan matches that the Russians utilize, since of a couple of factors to consider– those matches might not be prepared, and the exit point for Russian spacewalks is typically from a various hatch than the NASA spacewalks, which screws up the thoroughly prepared choreography. NASA extremely thoroughly schedules its spacewalks, with astronauts being offered comprehensive treatments about where to go, how to tether themselves to the station, what tools to utilize and oftentimes, what positions to presume to get the work done. So last-minute modifications aren’t a fantastic alternative. Holding off the very first all-female spacewalk wasn’t a gender concern, however a clever choice based upon operations. And keep in mind: that female turning point is bound to take place ultimately. After all, about half of the 2013 and 2017 astronaut classes (NASA’s 2 most recent groups to sign up with the company) were comprised of females. As accountable astronauts do, McClain divulged her fit size concern to the ground, and NASA made a functional choice to divide the female spacewalking tasks into 2 extra-vehicular activities rather of one considering that just one medium-size upper body is offered for usage– a size that both McClain and Koch would require to utilize all at once. “McClain discovered throughout her very first spacewalk that a medium-size difficult upper torso– basically the t-shirt of the spacesuit– fits her finest. Since just one medium-size upper body can be made prepared by Friday, March 29, Koch will use it,” NASA stated in a declaration. NASA astronaut Anne McClain utilized a big upper body spacesuit size throughout her very first spacewalk March 22, 2019, however identified it was too huge for her. NASA’s existing spacesuit stock has actually come under analysis prior to. In 2017, NASA’s Workplace of Inspector General (OIG) discovered that brand-new spacesuits will not be provided for a number of years , despite the fact that the company invested almost $ 200 million in advancement in the years prior to then. One factor was this costs was topped a number of spacesuit types, considering that there was a “absence of an official strategy and particular locations for future advancement,” the OIG specified. The 40 – year-old spacesuits– more formally called extravehicular movement systems (EMUs)– can be set up to switch out limbs and other parts to much better fit spacewalkers, however such setups take some time. Schierholz included another tweet , “The initial idea was Anne would utilize a big for the 2nd spacewalk,” with Koch utilizing the medium. What this implies is that the 2 astronauts will not be strolling in area together at the exact same time, however they’ll still get private possibilities in the coming days. 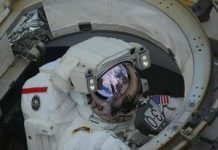 Koch and Hague will do their spacewalk on March 29, with McClain and Canadian astronaut David Saint-Jacques arranged to go “outdoors” on April 8. NASA is cognizant of the value of the all-female turning point, Schierholz included an interview with the New york city Times , however stated that eventually the objective needs to precede. She included there are no instant strategies to set up a replacement all-female spacewalk.